The scene where the robbery took place. Spur in Ben Fleur Boulevard Centre was robbed by armed gunmen, who made off with an undisclosed amount of cash. While restaurant patrons tucked into their meals, they were blissfully unaware that the restaurant they were eating at was being robbed. Tash Tatton and her husband told Witbank News that they decided to spend their ninth wedding anniversary at Spur in Ben Fleur on February 25. The couple went for lunch, and made themselves comfortable. “It was a relaxed atmosphere, the service was fast… I sat in such a way that I could see the door, and my husband could see into the smoker’s area. I didn’t even see the three men enter the restaurant, nor the one suspect who went into the manager’s office. I stood up to have a cigarette, and in the meantime, my husband couldn’t understand why his beer order was taking so long,” Tatton explained. Tatton said that after she sat down again, their waitress came to their table and apologised for the delay, but that her manager had just been involved in an armed robbery. “We were shocked. How cruel are people to put someone through a traumatic incident like that? I was even more shocked that … we didn’t even know what was going on. What was also shocking was that we left the restaurant 45 minutes after the robbery, and the police still had not arrived at the scene,” she added. Tatton said that CSC Tactical and Legacy emergency services arrived on the scene within minutes. The manager of the restaurant allegedly told police that she and her grandchild were in the restaurant when they heard what sounded like a gunshot. She didn’t take much notice at the time, but got a fright when she heard unfamiliar voices behind her demanding money. She added that the men were armed and that they opened the safe. There was no money in the first safe, but there was in the second. Her cellphone was also stolen during the robbery. The shocked manager, overcome by emotion, was found sitting helplessly in her office after the robbery. Her employees helped her up. Suspects fled with an undisclosed amount of cash, and no arrests have been made. Owner of the Spur Ludwig Sistenich said they have already made plans to increase security at the restaurant. Sistenich said that alternative security resources would now be implemented. 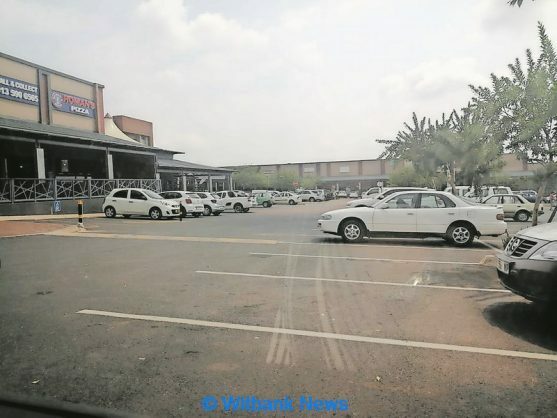 Spokesperson of Ben Fleur Boulevard Centre said that increased security is a welcome suggestion, adding that they were striving to make the shopping centre the safest in Witbank.